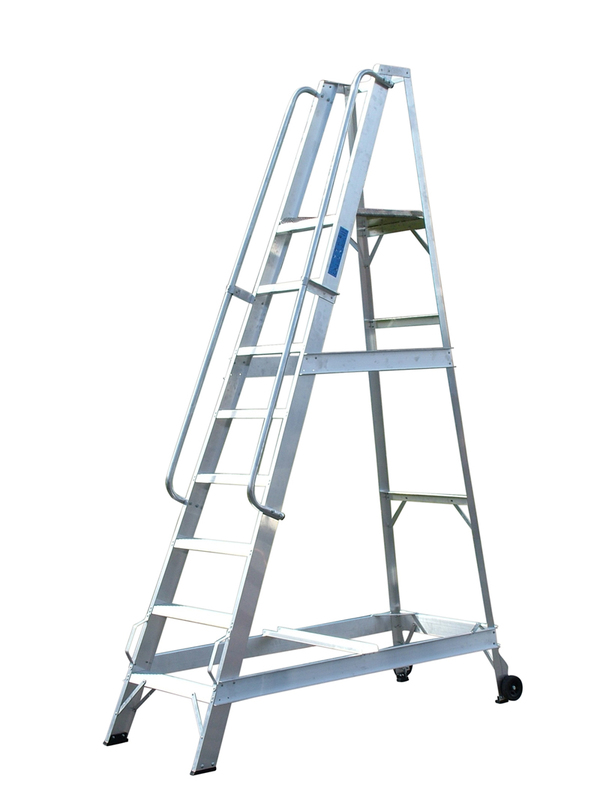 Warehouse Steps are manufactured with industrial strength aluminium and are ideal for warehouse and factory use. The steps have heavy duty back support legs, side handrails and rear wheels for easy positioning. Additional Bracing ensures a strong robust product. 430 x 360 mm Platform.